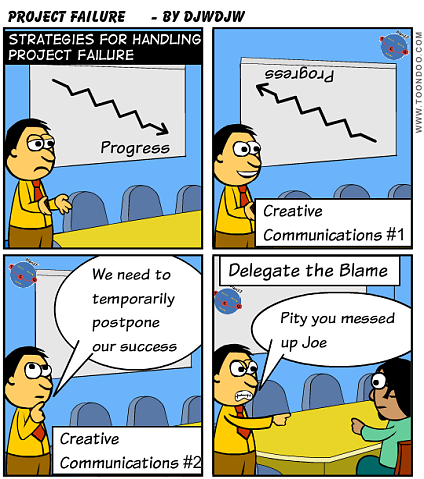 Why Projects Fail and how to address? The Business benefits of a Project are defined as a key success criteria for the Project Sponsor. Analyse the Risks and ensure suitable mitigations / contingencies are in place Keep these under review. Always consider the human side of your Project Team. Do you have the elements in place to achieve a high performing project team? 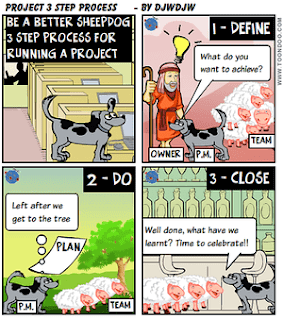 There are many reasons why Projects fail and there are essentials you need to get in place as a Project Manager. Of course, I haven't mentioned you much in this post and you are the linchpin for success. If you aren't doing your job correctly the Project has a high probability of failing. As well as good technical skills you need to have appropriate behaviour traits and spend your time on the right activities. With all these elements in place there is a good chance of success but never assume and keep monitoring, monitoring, monitoring!